I’m starting to get long winded. When the idea came into my mind, it was to share quick ideas, tips and tricks that I used when teaching gospel doctrine classes on Sunday. Now, even though I skip over a ton of material, these videos are nearing 30 minutes long. I’m not sure if that’s the best thing. 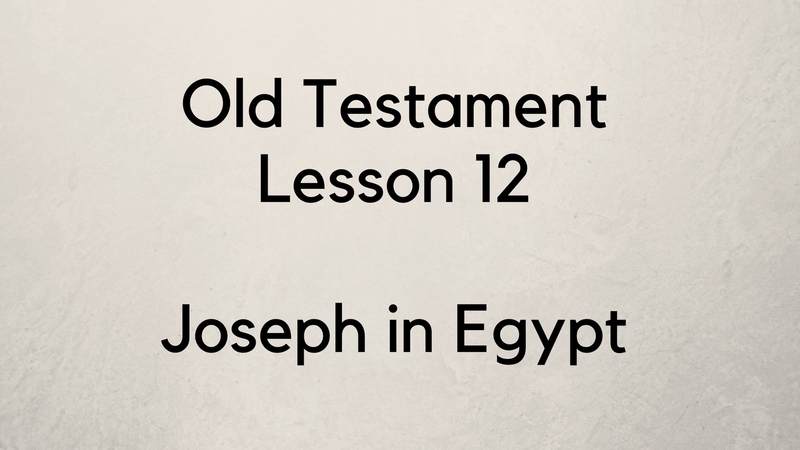 Here is the latest episode – talking about Genesis 40-45. Really, you should go over Gensis 40-50 because the next lesson is Exodus 1-14. I honestly don’t know how you can cover what God wants you to know in those 14 chapters in 45 minutes. Anyway, watch this and let me know your thoughts. This entry was posted in Gospel Doctrine Helps and tagged genesis 40, genesis 41, genesis 42, genesis 43, genesis 44, genesis 45, genesis 46, genesis 47, genesis 48, genesis 49, genesis 50, gospel doctrine helps, Old Testament Lesson 12 - Gospel Doctrine on March 10, 2018 by admin.